Many people didn't like the Representative Colonial Governments. They wanted something different called the Responsible Government. They wanted to reform the government so that's why they made a group of people called the reformers. Joseph Howe was one of the reformers. He was publishing a newspaper and he wrote a letter to the citizens. He said that lots of money that was supposed to help poor people were taken by the rich and powerful people. He was very unhappy about the representative government. 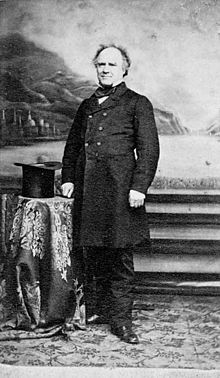 The government sent a man named Lord Durham to investigate the situation in the British North America. The rebellions in upper Canada knew that the British soldiers were busy so they started to fight the government. Rebels were people who did not like the government and tried to change it by violence. The government organized a Militia. Militia are people who didn’t get professional training but they are to be soldiers to protect the government and fight the Rebels. Durham thought that the Britian should give the British North America a responsible government so the government is democratic. British people were surprised when they heard that Durham wanted the British to give responsible government to the BNA, because the British were thinking that Durham was on their own side. When responsible governments start to achieve. Nova Scotia were the first colony in British North America to have a Responsible Government. Ever since Joseph Howe was elected to the Assembly in 1836, he kept fighting for responsible government. He helped to make a strong reform party. James Boyle Uniacke was the leader of the reformer party. Responsible government didn't happen right away in Province of Canada. Reformers in Canada east and Canada west had problems agreeing on things. Louis-Hipployte LaFontaine from Canada est and Robert Baldwin finally joined forces and made responsible government. Prince Edward Island asked for responsible government a lot of times but they were refused. PEI fought back by not passing bills or voting any money for government use. Finally in 1851, the Britain gave up and gave responsible government to them. New Brunswick wanted to change the government. 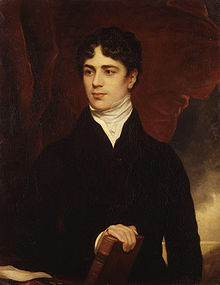 Lemuel Allan Wilmot and Charles Fisher tried to make responsible government happen and in 1854 the Britain agreed to change the government to responsible government. The fight for responsible government in Newfoundland became the strongest when Roman Catholic and Methodist politicians decided to join together to fight for reform. Newfoundland finally got responsible government in 1855.